One way to cry Uncle. If you ever programmed a Hot AC radio station in the last decade plus and thought about scheduling Better Than Ezra, Sugar Ray and Uncle Kracker back-to-back, congratulations. It’s 2015 and they’re all in one big group together. What’s the deal? The trio is a combination of the leaders of those two bands, Kevin Griffin and Mark McGrath, respectfully, as well as the singer. 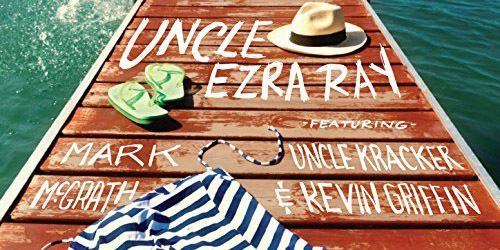 Their first single together as Uncle Ezra Ray, “B.Y.H.B.”, was released this past week through Tentative Music, owned by Griffin. It’s not likely to see much radio action (I’m looking at you, The Pulse) given that it is independent, but hey, nostalgia is nostalgia. Speaking of the old days, in honor of the new single, I thought I would put together a top ten list of the biggest songs by the three to make my personal chart. Of course, my top 40 officially began in September 1999, so there’s several hits by the two bands that were too early to make it on here. That being said, it’s nice to see that my current workplace is represented quite well on here. (In fact, all three acts were in the Warner family at one point in their careers, with BTE on Elektra for three albums in the 90’s.) Let’s soak it all in, shall we? What’s your favorite tune from the three acts? Let me know! Follow the blog by clicking below and/or click the “Get Social!” page link at the top to find PGTC on social media sites like Facebook, Twitter and more.